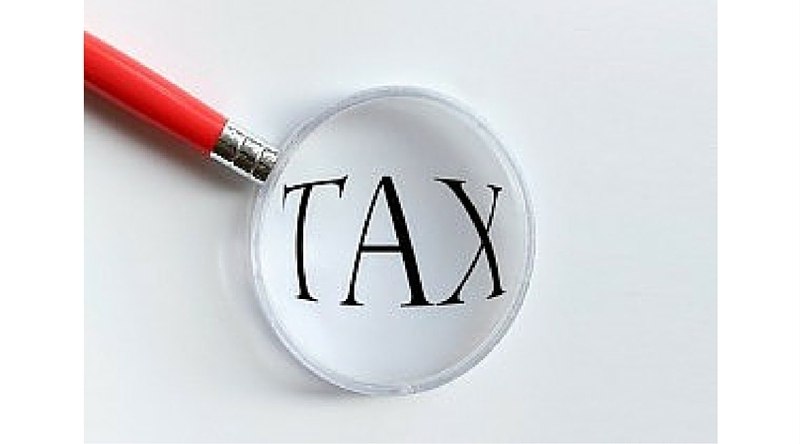 A cess is a tax that is levied by the government to raise funds for a specific purpose. 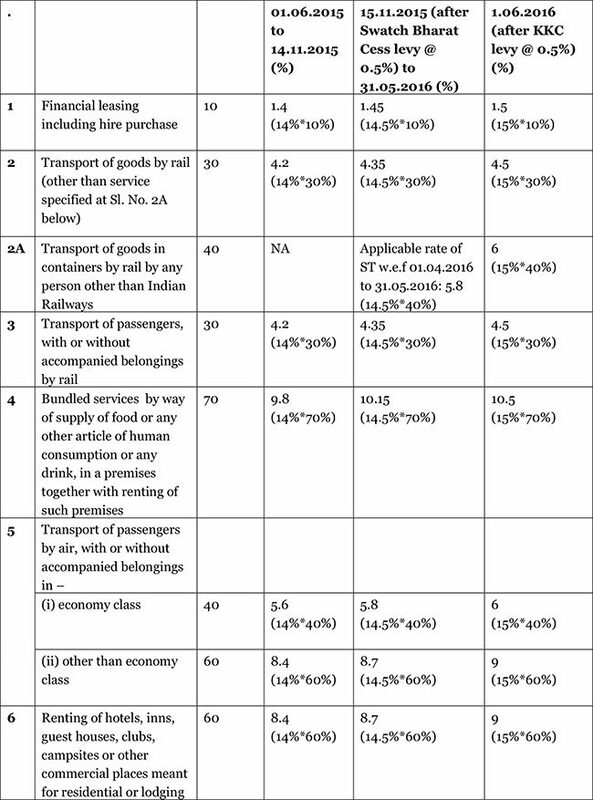 With effect from June 1, 2016, a new cess proposed by Budget 2016-17 called Krishi Kalyan Cess (KKC) will apply. 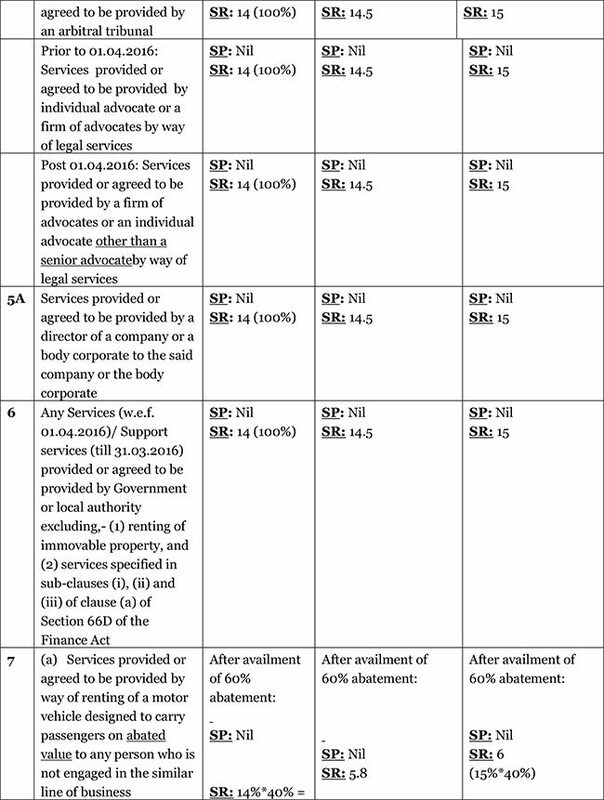 In this regard, a new Chapter VI has been inserted in the Finance Bill, 2016, that contains the provisions, which is applicable with an enactment of the Finance Bill, 2016. 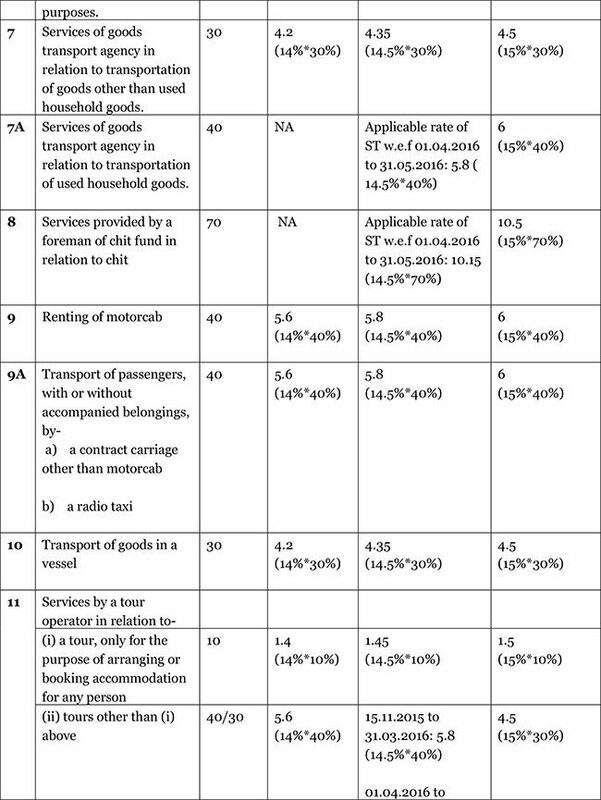 Thereby, effective rate of Service tax going to be increased from 14.5% to 15%. 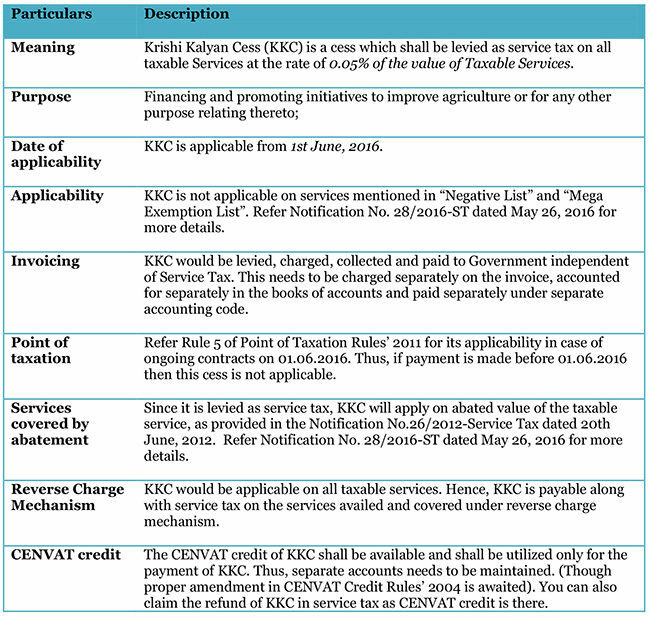 Now the service provider here, that is CA, can reduce his KKC liability to the extent of KKC paid on input services. 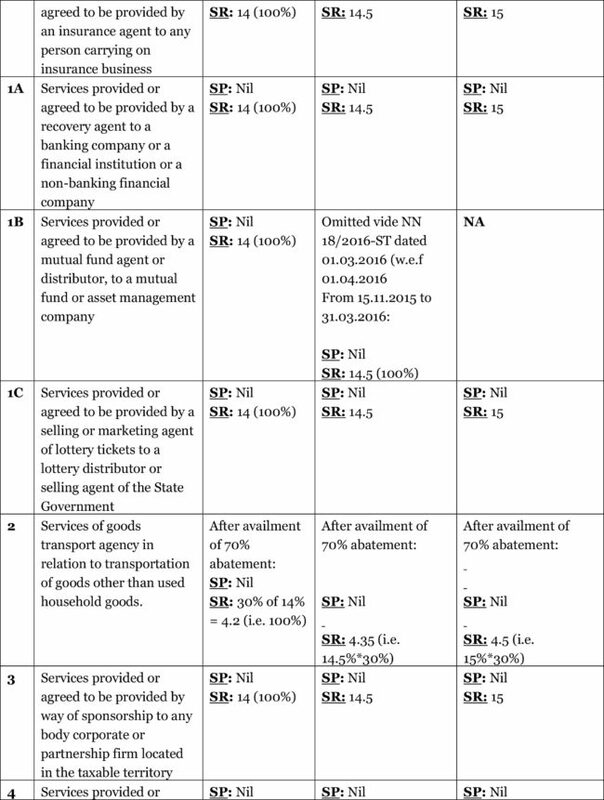 For example, he avails input services worth Rs 5000 on which he pays KKC of Rs 25, he can use it as credit for KKC on consultancy service of Rs 50. 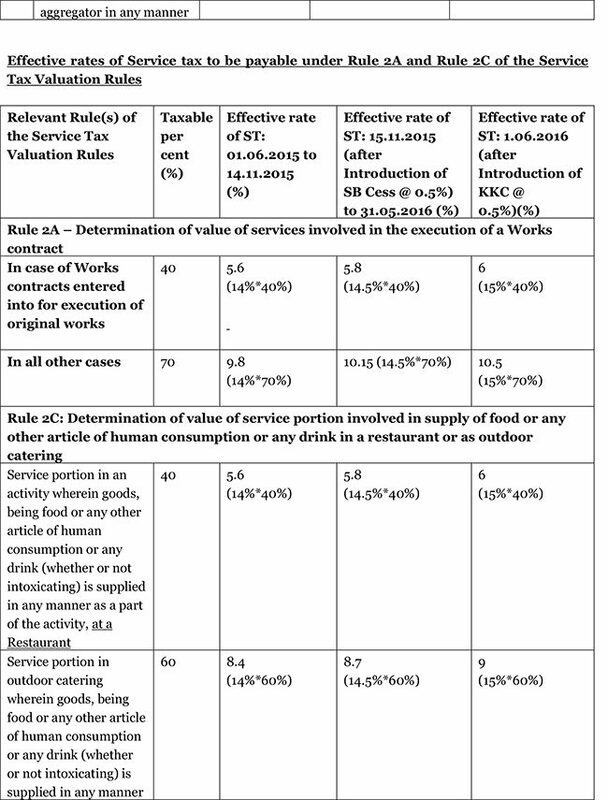 Hence net KKC payable would Rs 25. 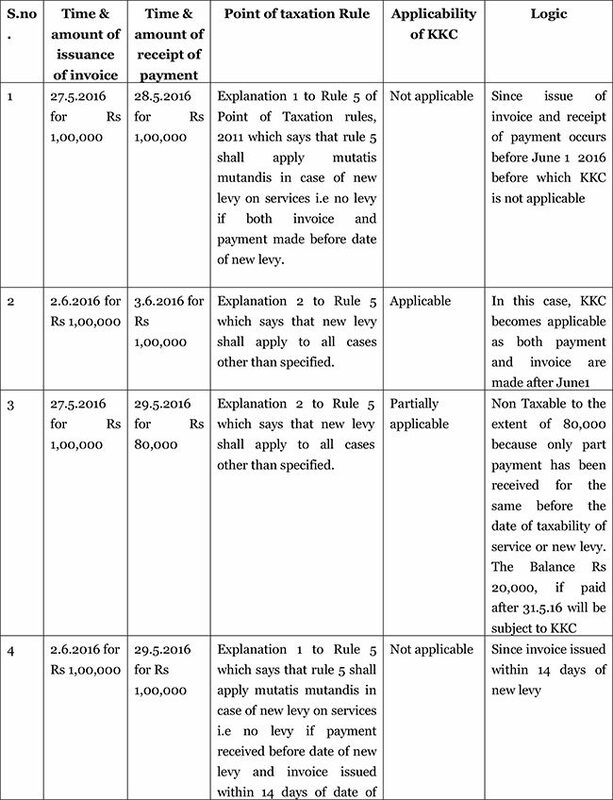 Next the question arises : Since KKC is applicable from June 1, 2016, what will happen to the payments due on service invoices already issued before June 1, 2016 or on advance payments of services to be rendered received before June 1, 2016? To answer this question, we need to refer the rules on point of taxation. See the following examples. The Central Government vide Notification No. 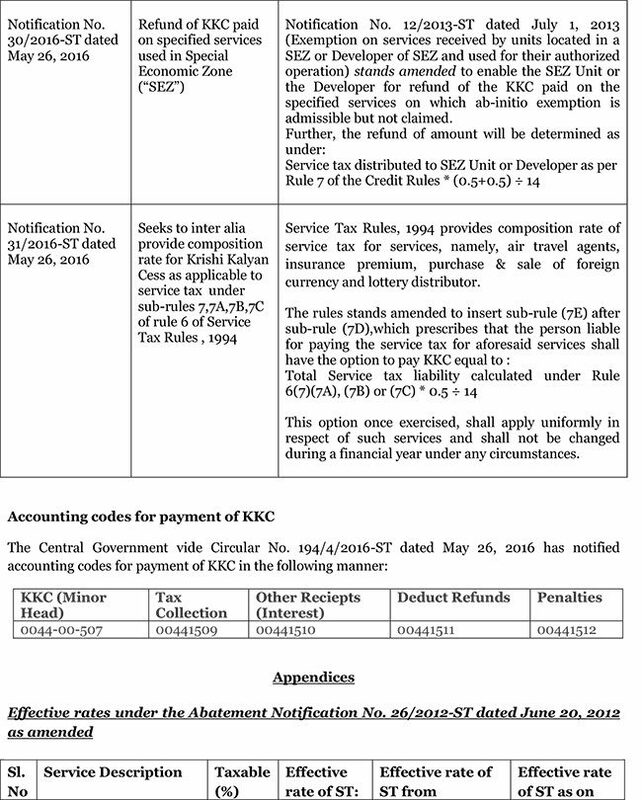 27/2016-ST dated May 26, 2016, has amended/clarified that the Reverse Charge Notification shall be applicable mutatis mutandis for the purposes of KKC also. 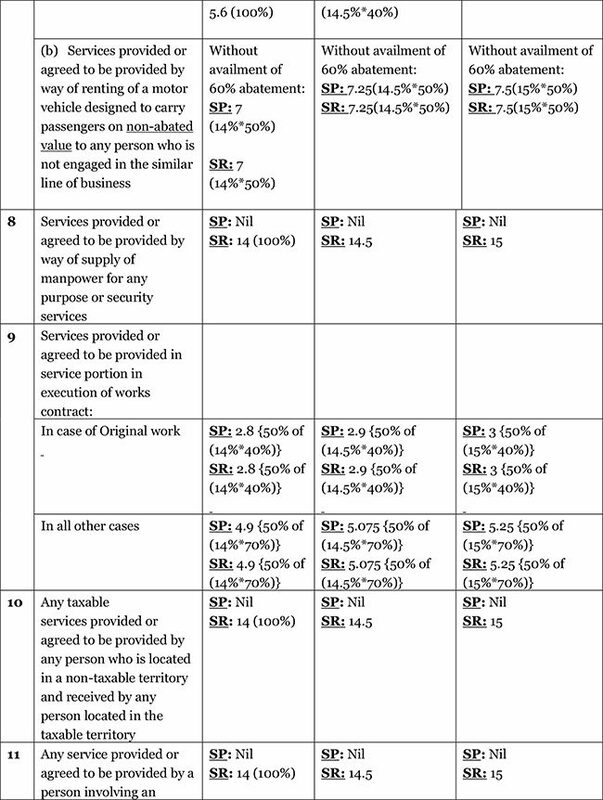 In case of services covered under reverse charge, point of taxation as per Rule 7 of Point of Taxation Rules, is the date on which consideration is paid to service provider. However a proviso has been inserted in Rule 7 vide Notification No. 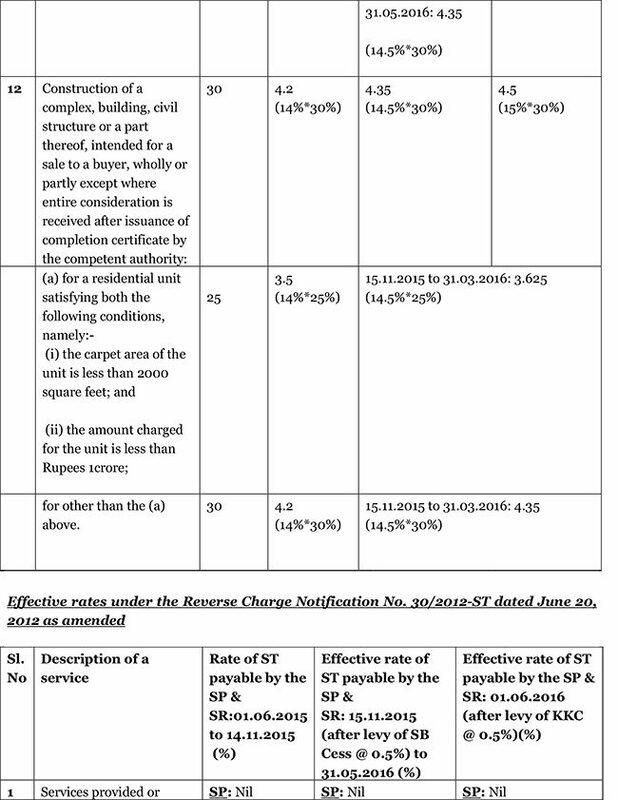 21/2016-ST dated March 30, 2016, to provide that where there is change in the liability or extent of liability of Service tax to be paid under Reverse Charge, and service has been provided and the invoice issued before the date of such change, but payment has not been made as on such date, the POT shall be the date of issuance of invoice. 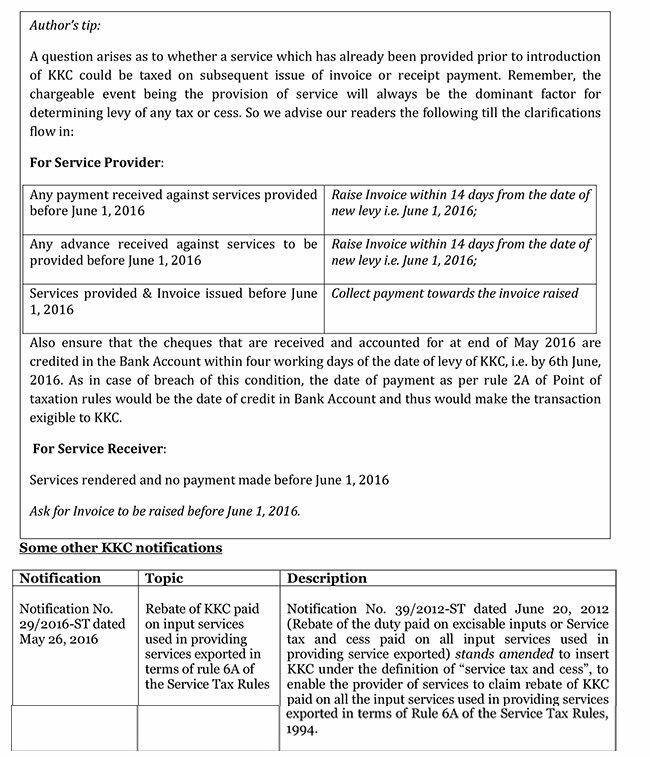 Therefore where services have been rendered and invoice issued before June 1, 2016 but consideration is paid after June 1, 2016, from the perspective of a service provider under forward charge, same becomes taxable while from service recipient under reverse charge, same is not chargeable to KKC. Hence it is debatable.